Ben Mallare & band made our wedding more amazing than we could have ever imagined! The band created such a wonderful and fun energy for the entire night! Every song we requested was played to perfection and the dance floor was packed all night long! We used band members for the ceremony and cocktail hour as well and it was perfect. Every song we wanted was played and it made the special moments so memorable. 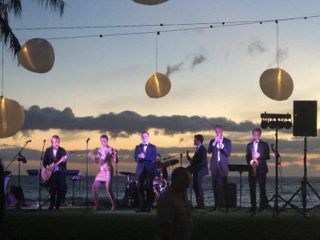 Our guests are still raving about the band and how fun the wedding was! Ben was professional, polite and accommodating throughout the entire booking and planning process as well. We could not have asked for a better experience! I highly recommend Ben Mallare Band! Stop wasting time scouring the Internet for the right live band and just book The Ben Mallare Band. Trust us! A fun, memorable wedding usually comes down to a few things...the venue, the bar and the music. 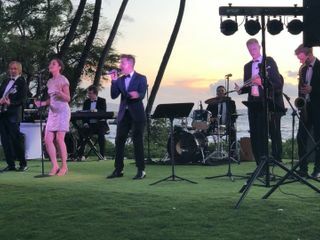 My wife and I were extremely lucky to have found Ben Mallare and his band and even more fortunate to have been able to book them for our wedding in Palm Springs, CA. 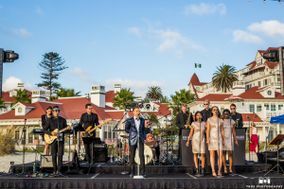 We booked Ben Mallare’s All Star Band for our wedding and we cannot say enough good things! When we were looking around at different bands the first thing that made us choose Ben Mallare was his responsiveness! He was so easy to communicate with and always offered his honest opinion to help us decide what size band we needed etc. Throughout the whole process his team was great even through some base access issues due to the wedding being held on a naval base. They were amazing the day of the wedding! We wanted both a band and a DJ and they seemlessly transitioned and read the crowd to play songs that everyone wanted to dance to. As the bride I never had to worry about the band or DJ the whole night they just kept playing one great song after the next. Would highly recommend the Ben Mallare Band!! Fun, Talented, High energy, and all around Perfect Band for a Wedding! They crushed it at our wedding! 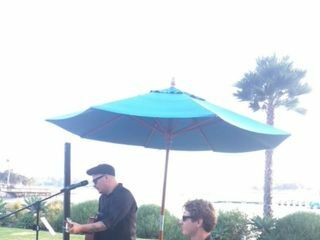 Ben Mallare and his band were fantastic at our wedding! Our family and friends were very impressed by how great they sounded and the range of different songs they could do. Ben was very prompt to communicate since we first booked him up until the day of our wedding. Their crew was very professional and I was quite impressed with how much attention they paid to the set up and continual sound quality throughout. We had requested a couple of our favorite songs to be played and hearing them live was incredible. We also had the band play instrumental acoustics for our processional. We loved the way it turned out. 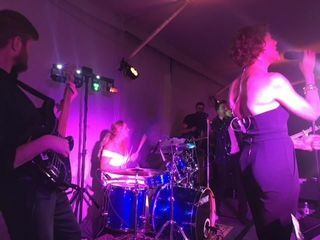 It will be a while before we ever get to throw a party like that in the future, but I would definitely hire them again or recommend them to any friends or family looking for a live band. So happy we decided to go with them! Ben Mallare & Band we're absolutely FANTASTIC. Not only did they have my wedding guests on the dance floor until midnight, they went above and beyond to make our day feel special. 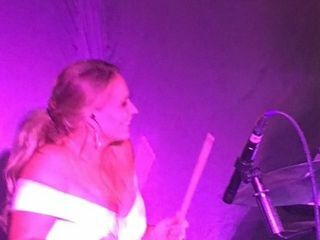 As the bride, I was able to play the drums for "Livin on a prayer" and their manager even stayed after hours with the music equiptment so we could keep the party going until 2:30am. Ben's a total stud with great stage presence and was able to keep 250 guests up and moving. We also really appreciated the fact that he can MC our wedding and keep the flow of the night in check. Thank you Ben and Band! My wife and I had our wedding in August 2018. Ben Mallare was worth every penny! We decided to go with the signature plus horns and it was everything we wanted and more. We had non-stop compliments from our guests on how perfect the band was. Highly Recommend! Ben and his team were an absolute pleasure to work with. Some of the best memories from our big day are on the dance floor with Stefan Poole and co through the Ben Mallare Entertainment team. Stefan and the rest of the band absolutely killed it and played to the crowd with perfection. Ben Mallare is very professional and painless to work with, handling everything well and taking the stress off of our plate. I recommend Ben Mallare Events & Entertainment to anyone looking for a live band set up. If I have the chance, I'll definitely use this team again for another function. Thank you Ben, Stefan and team for an awesome wedding. After countless search for a band for our event, I ended up booking Ben Mallare. I was not disappointed! They exceed my expectations. Ben and his team were totally professional and they were quick to respond to my questions and needs. And on top of that, they were so nice!!! I booked the 10 piece band with the 4 vocalists, guitar, bass, drums, sax, trumpet, and trombone. They looked great and they sounded absolutely fantastic on stage. I can't recall how many folks complimented me about the band. They were an absolute hit!!! When I am back in Anaheim for an event, Ben Mallare is on top of my list to call! First and foremost the band is sounded incredible. I was beyond impressed with their musicianship, energy, and professionalism. I highly recommend Stefan as a lead singer and Samantha as your female pipes! Secondly, Ben is incredible as the leader of this operation. He is super responsive and professional. Even when there was a potential issue arose, Ben solved the issue in a beyond satisfactory way. Finally, we want to make a note on the value. Initially we had budgeted less for music at the venue. We had to think long and hard if we wanted to reallocate the budget to get these guys... and we strongly believe it was worth every penny. 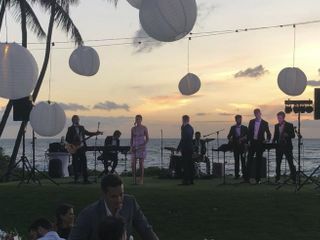 The band added to much to every stage of our wedding. The ceremony music (they played my wife’s walk down song live & acoustic!) to MCing the grand entry and speeches, and the music during the reception were all incredible. I cannot articulate enough the value they added to our wedding day! TLDR; Totally worth it!! Book them!! Request Stefan & Samantha! Andrew and Alexa, thank you so much for these very kind words. It was our pleasure to contribute to your special day, and I'll be sure to pass along your words to Stefan & the whole crew. Congratulations to both your families, stay well, and we hope to see you again in not-so-distant future! If you are reading this review and are debating whether to hire Ben Mallare or someone else, save yourself the time and hire them! Ben was wonderful to work with since Day 1. They were extremely flexible with our requests and accommodations, as last minute as they were. EVERYONE at our San Francisco wedding loved them, and they went above and beyond for what they were hired to do. They were fun, talented, professional, and definitely worth the affordable cost. There was NO stress involved with working with them, NO hidden costs, NO regrets or issues. Thank you Ben and Stefan for a wonderful night! Stefan especially was an amazingly talented MC, and wonderful performer. They put up with my mom's last minute and somewhat drunk request for her and my dad to sing/perform the last song of the night. The band not only allowed it, but was able to perform drums and backup guitar for a song that was not even in their set list! (It was Unchained Melody, and the band + my mom and dad knocked it out of the park!) Thank you again! Hiring Ben Mallare Events & Entertainment was one of the best decisions we made for our wedding. I can't say enough amazing things about Ben and the band. His voice is amazing and the set list they chose was literally perfect. I will always remember when Ben announced in between songs that the first shuttle would be leaving soon to take guests back to the hotels and our guests booed because they were having so much fun and didn't want to leave. That couldn't have happened without Ben. I will recommend him to everyone I know getting married on the west coast because I would LOVE to attend another wedding where he's performing. We went with the Small But Mighty band with Andy as the lead singer. EVERYONE was dancing!!! He was amazing. I couldn't have asked for a better night. Thank you guys so much! 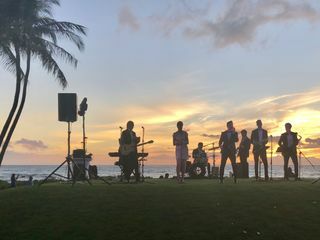 Ben Mallare band was the perfect fit for our wedding. From the ceremony guitarist to the very last song. Our wedding was so special because of their talent. Every song was so great and truly exceeded our expectations. Our guests are still talking about how much fun they had!! They executed our schedule of events to perfection. Every song they sang was absolutely beautiful!